"Is there any way that I can download YouTube from Chrome browser directly?" "Can I get a YouTube downloader Chrome extension to download videos from YouTube?" Many YouTube users who like to use Chrome to stream videos also want to directly download YouTube videos from Chrome. As we know, it is not a difficult thing and we will introduce you top 10 best Chrome YouTube downloader to help you to download and enjoy video wothout interruptions. Using the YouTube downloader Chrome extension to download your favorite YouTube videos or songs is a good way to save your favorite songs from YouTube. You can start exploring them right now as I am listing some of the most distinctive ones. Let's see some options you can choose from and start downloading immediately from YouTube and other video supported websites. iTube Studio is the most reliable, fastest and easiest YouTube Downloader, which supports Chrome, Firefox, Safari and also other browsers for all video downloads from YouTube, Facebook, Vevo, Bash, liveleak, Vimeo, etc. This YouTube downloader for Chrome automatically detects the video opened with just a single click and it starts downloading as soon as the video starts to load. iTube Studio Chrome YouTube Downloader also comes with a built in FLV video player for convenient playback. Just double click the existing video in the Downloaded list to play it. Now anyone can download any cool, funny videos, movie trailers, music videos, and viral videos using iTube YouTube downloader. Download online videos with Chrome extension at 3X faster speed with original quality maintained. Download online videos from YouTube and other 10,000+ video sharing sites like Facebook, Vimeo, Netflix, Vevo, Hulu, etc. Record any online video from any video sites with its inbuilt well-balanced video recorder according to your need. Convert downloaded YouTube videos to a variety of video and audio format or even preset formats for mobile devices. Transfer downloaded YouTube videos to mobile devices like iPhone, iPad, iPod or Android devices with USB cable easily. Private Mode to download videos in private with a password protected, and save the downloaded videos in a secret folder. Using iTube Studio Best YouTube Downloader for downloading videos in Chrome is easy. You simply have to install the Chrome YouTube Downloader by double clicking the downloadable image of iTube Studio for Mac (Mojave included) or Windows. Click the Download button below to process downloading. After YouTube downloader Chrome has been downloaded on your Mac or Windows, you can go to installation steps and will get prompt information to finish installing. iTube Studio will launch automatically after installation is done (For Windows PC users, please download the iTube Studio for Windows). Follow the inbuilt guide to install downloader extension in your Chrome, Safari or Firefox browser. If you are a Chrome user, you should install Chrome extension in browser manually. Firstly, you should go to download TamperMonkey browser extension by click "Extension Download" here. Then you should install this extension for Google Chrome browse and add iTube extension userscript to TamperMonkey by clicking "Add Now". Follow the instructions, after you have installed iTube Studio download extension in Chrome successfully you can refresh the video page. 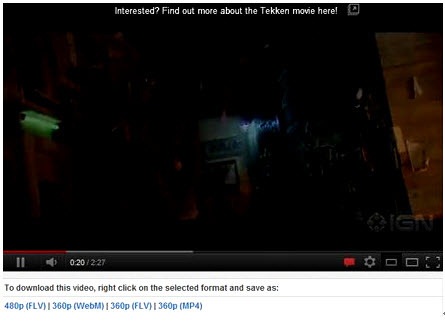 Once finished, you will see a Download button right by side of your player window in YouTube page. A) When you play the video, a "Download" button will show up on the top left corner of video. Click it and the YouTube downloader wizard will do the rest thing for you. B) Drag the video URL to the iTube Studio for Mac dock icon to start downloading. 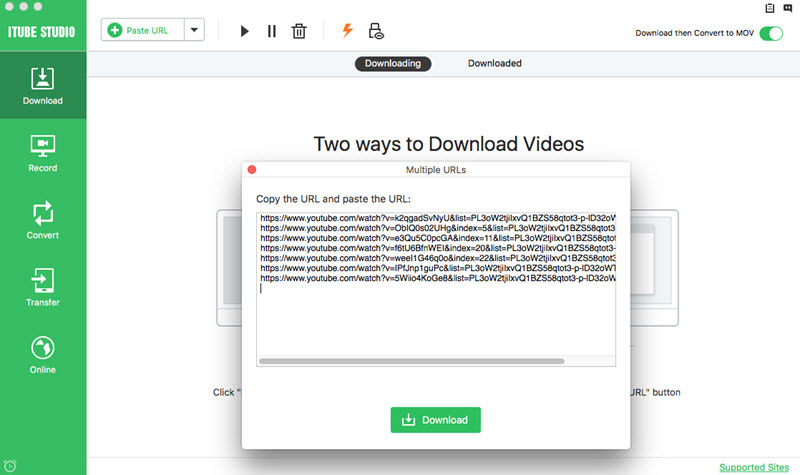 Or copy the video URL, and click the "Paste URL" button in the primary window of downloader to capture the video immediately. 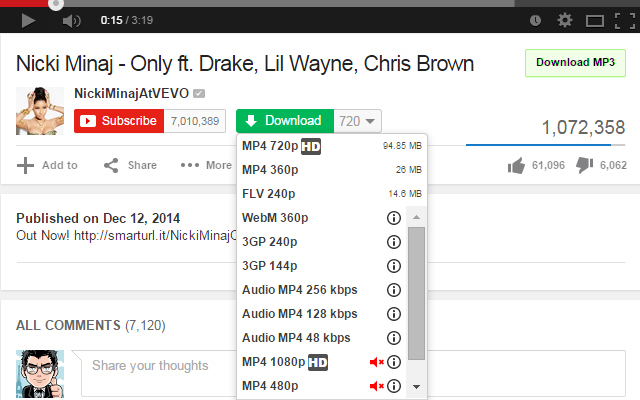 This YouTube downloader chrome extension provides function of multiple videos downloading. You can download all videos from YouTube playlist or download video from YouTube channel. When you open YouTube channel or playlist, you will see the Download All button, just click to select the videos you want and click Download to get multiple videos. With YTD Video Downloader, you can search for any video you like in the interface or even enter a URL to let the downloading begin. The videos will be downloaded in .MP4 and .FLV format on your desktop. It not just works on YouTube, but also Vimeo and Blip TV too. 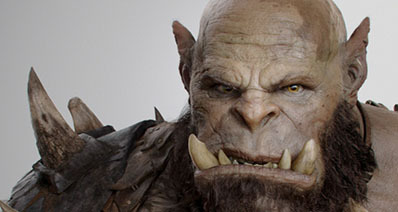 This app continues to work on flawlessly on most of the best video streaming video sites. FreeYouTubeDownloader is a small but quite effective application. It does not let you wait to download videos that you like on YouTube. The application has a simple design. It does not have many features but it is capable of giving what you want. The downloaded videos retain their original quality and everything about the application is easy. This application lets you download the YouTube videos and convert them into formats like WMV, FLV, AVI and MP4.It can convert the videos downloaded from YouTube in different formats. 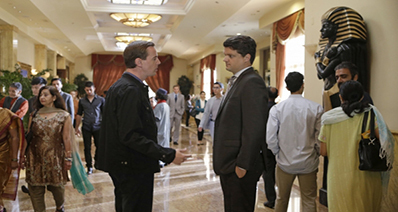 They can be audio as well as video files of any format. The application is solid and it’s easy to use. 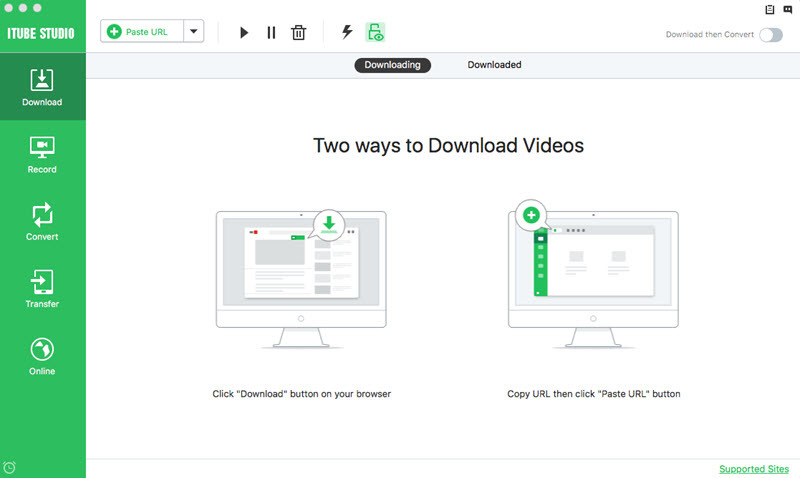 Kastor All Video Downloader is software that allows you to download videos from YouTube, Vimeo, Dailymotion and a number of other video streaming websites. You can add video URLs as and when you like. It can filter up your searches and provide you results. Download YouTube Chrome is an excellent extension you can use directly with Chrome. All you need to do is installing it from the website cited above. After the installation whenever watching a YouTube video, you will see the downloading options below. There are several formats you can choose from such as FLV, WebM, MP4. There is an Installation Guide you can follow if you haven't had experience with extensions outside Chrome store. It is another good YouTube downloader for Chrome which is also very easy to operate. When installed in Chrome Browser it adds a "Download" button which allows you to save videos from Youtube and other websites with a single click. 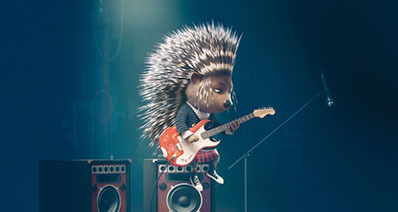 It has other features added such as Skip this video AD, Repeat play, MP3 Converter support which is a great advantage. 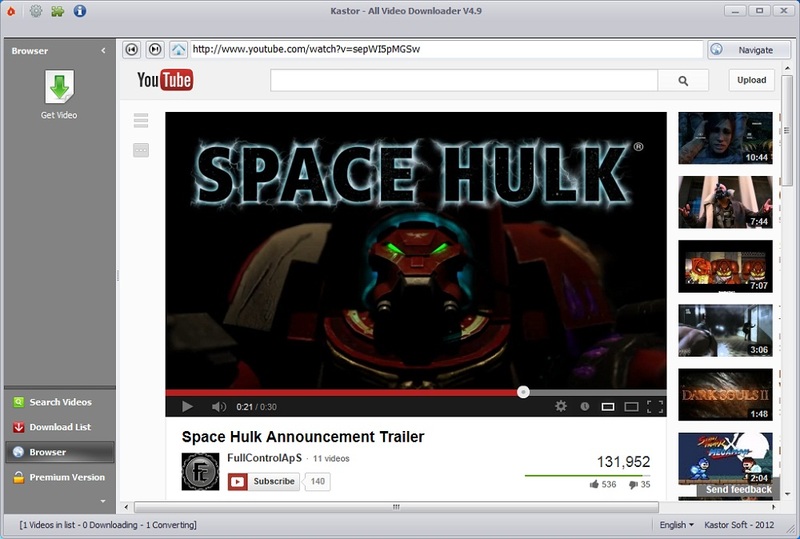 This extension will allow you to download YouTube videos by a simple click under the video. It supports a good variety of formats quality such as FLV, MP4, HD 720p, Full-HD 1080, MP4 (4K) and MP3. With this feature, you can have an excellent sound quality and easily enjoy the music you like offline. It works in a similar way as the previous ones listed using a "Download" button under the video. The best part here is that you can convert a YouTube video to MP3 format and save it. When you are on a video page, you will see the button "Download MP3" under the video and click it will take some time to convert the video to mp3 format depending on the duration, but in the end, you will have on your Hard Disc. Also, you can benefit from the Embedded Video Support option. Last but not least position is saved for FLVTO YouTube download addon for Chrome. It is easy to use, you can add it to all of your Browsers and choose from thousands of videos to directly download. Of course, they didn't forget to add a Convert to MP3 button which will do the job with one click under the video. Lifetime upgrade and support. None. Built-in player available. Setup is virus infected. Provides enough support. The downloading capability is limited. Works great for downloading high quality video. It does not have any integration with web browsers. No support for simultaneous downloading. Download youtube Chrome Free 1080P Easy to install and use. No support to convert video format. Support for many formats. Not compatible with all sites. 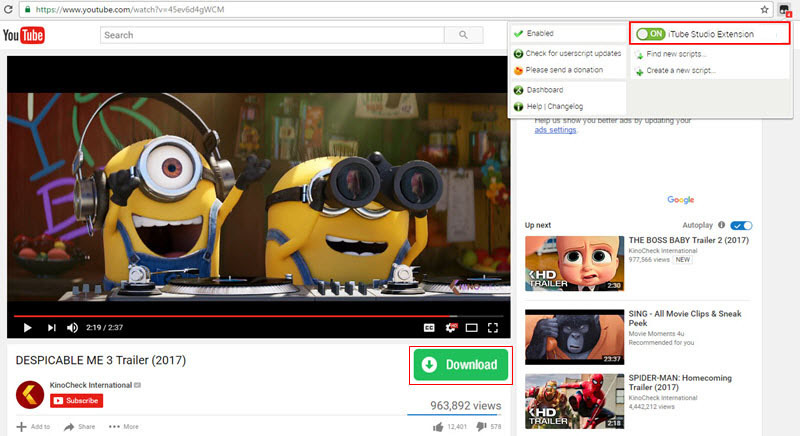 Chrome YouTube Downloader Free 4K, 1080P Fast download. Only support YouTube and Chrome. 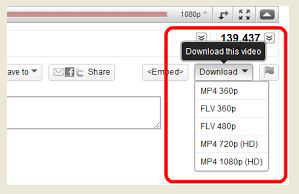 YouTube Video Downloader Free 1080P Supports to convert videos to MP3. It does not have any integration with web browsers. Support to convert to MP3 directly. Not fast. Among all these YouTube video downloaders, iTube Studio YouTube Downloader seems to be the most promising. It does limited cons, the best thing about the application is its resolution. Why stick to other applications when you can use a much better app that comes with the best features. It can make your video and audio downloading troubles go away.